Many cereals hold a special place in my heart, but we all know there is one that reigns supreme: Lucky flippin’ Charms. It really is magically delicious. 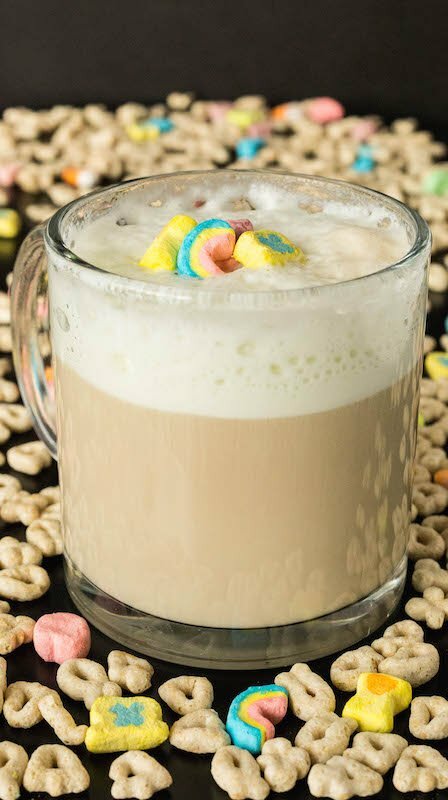 I wanted more ways to incorporate Lucky Charms into my breakfast, so I decided to infuse it into my coffee via cereal milk. What is cereal milk, you ask? Well, you know the delicious milk you have leftover at the end of a bowl of cereal? That’s cereal milk. Recreating this cereal milk and using it in recipes was started by (or at least made famous by) Christina Tosi of Milk Bar. If you haven’t been to Milk Bar, I highly suggest you go. On my first visit, I spent over $100 and bought an entire cake for just myself.? Can’t wait to go back this summer and eat some cereal milk ice cream! Place milk, Lucky Charms, sugar, and salt into a bowl. Stir well, then place in the refrigerator and allow to soak at least 2 hours. Using a strainer and bowl, strain the cereal milk. Place 1/3-1/2 cup of the cereal milk into a coffee cup. Using a milk frother, make the milk nice and foamy. Slowly pour in the coffee until the cup is full. 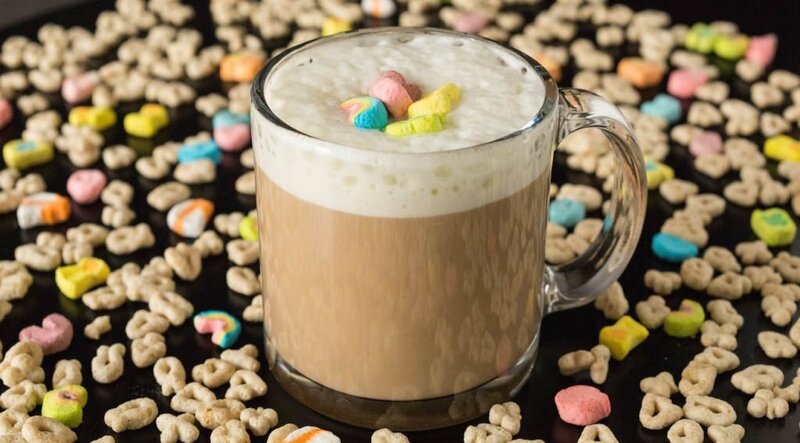 Garnish with a few Lucky Charms marshmallows, then enjoy your magically delicious Lucky Charms Latte! This is so simple and sweet! Adorable idea. What a fun idea! This would be the perfect coffee for that cereal lover!